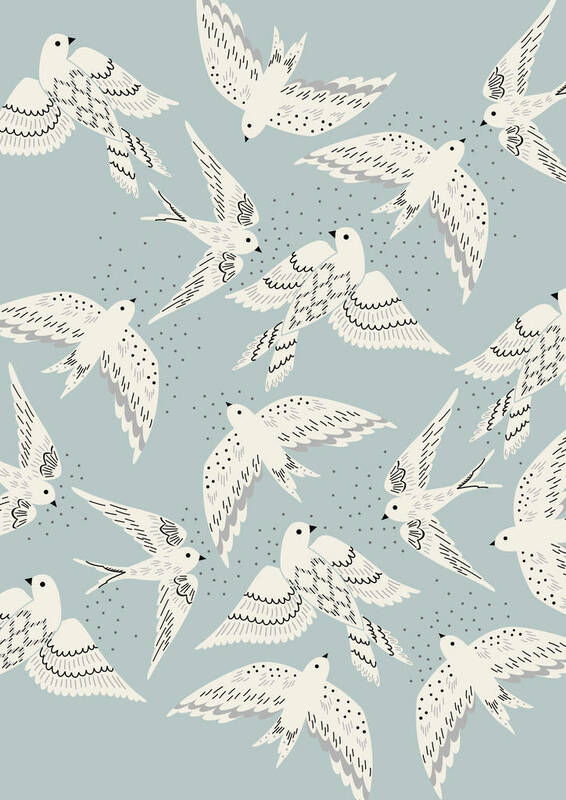 Delicate Birds illustration printed in cream, grey and black on a chalky aqua ground. Lovley Birthday gift for the bird lover. Modern yet vintage inspired this high quality giclee print looks great hanging in the modern home. 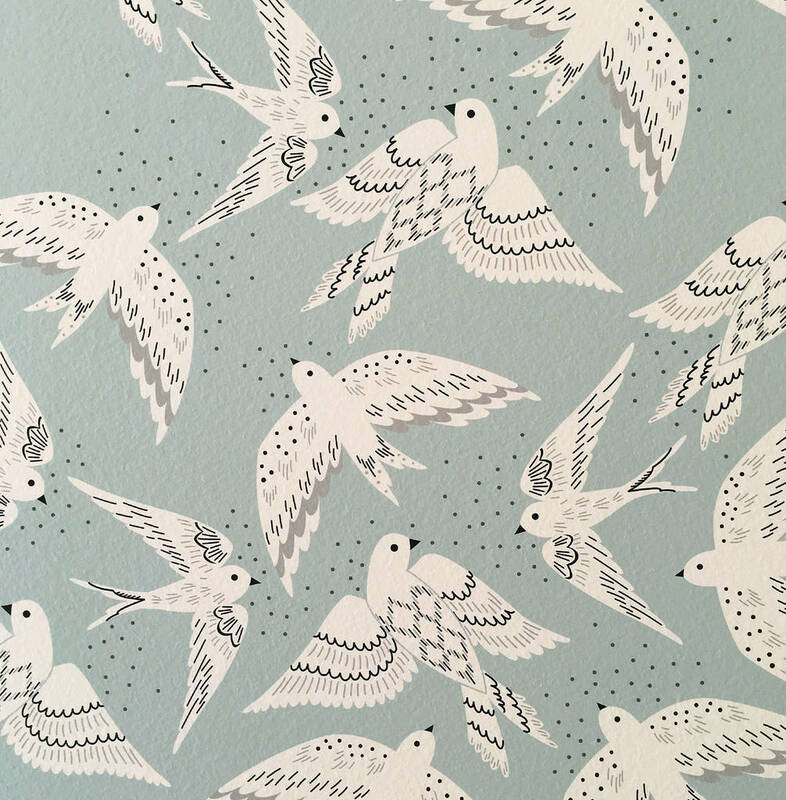 This print is part of a series of bird illustrations I have created and made into Art prints. 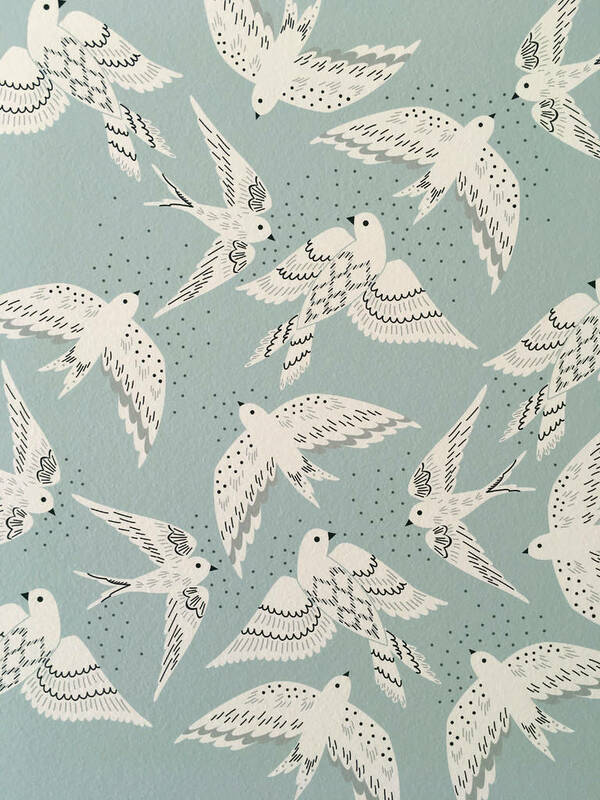 I have several other bird prints in my store. Looks great hung next to 1 or 2 of the other prints in the series. Available unframed or framed in a white wood frame as shown in the picture. 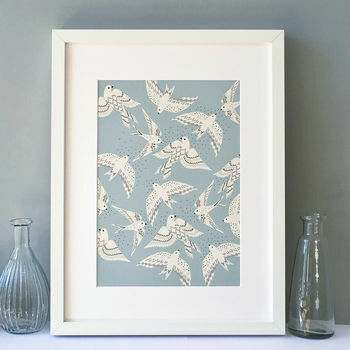 Unframed prints are packed in cello wrap and sent in a hard backed envelope. Framed prints are wrapped in bubble wrap and packed in cardboard.